Click on the numbered button on this interactive map to perform a search of all records that concern the corresponding parish. A complete list of parishes appears below. 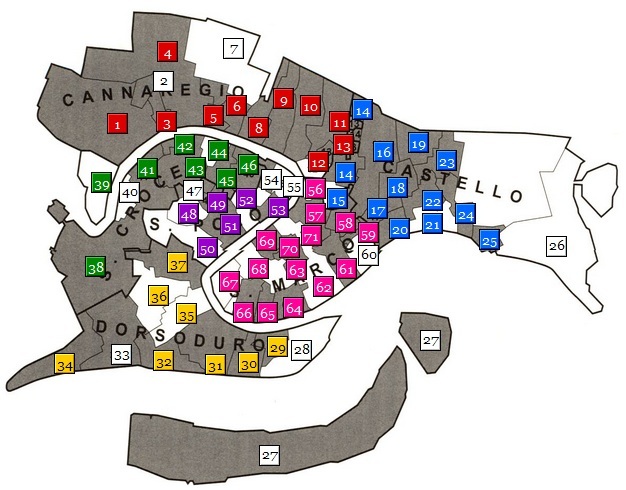 MAP CREDIT: From Monica Chojnacka, Working Women of Early Modern Venice (Baltimore: The Johns Hopkins University Press, 2001), pp. 2-3. Reproduced with permission.